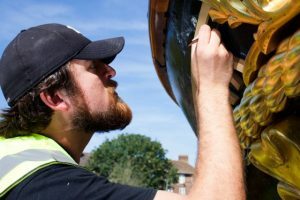 Sixteen new crafts have been added to the ‘critically endangered’ category of the Red List, meaning that they are at serious risk of dying out in the next generation, including withy crab pot making, millwrighting and commercial handmade paper making. 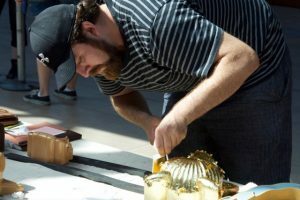 They join 20 other critically endangered crafts, including five (bell founding, flute making, scissor making, tinsmithing and watch making) that have been reclassified as being at a higher level of risk than when the research was first published in 2017. Critically endangered crafts include those with very few practitioners, few (if any) trainees and a lack of viable training routes by which the skills can be passed on. Often they serve very niche markets, and craftspeople cannot afford to step away from production to train their successors for fear those markets will disappear. 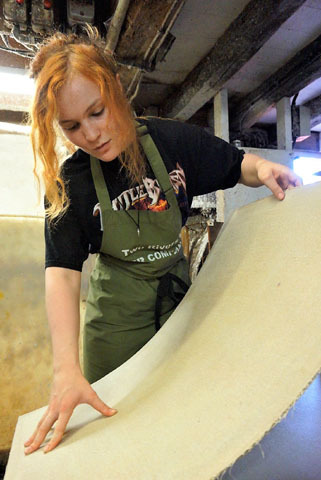 It’s not all bad news, however, as the craft of sieve and riddle making, which was listed as extinct in 2017, has now been revived by two new makers devoted to bringing it back, both of whom are now beginning commercial production. 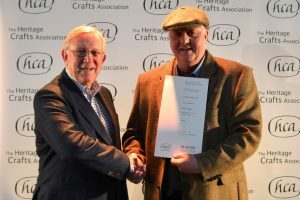 In addition, the organisation behind the research, the Heritage Crafts Association, has, with funding from The Dulverton Trust, employed an Endangered Crafts Officer to look for practical ways to safeguard these crafts skills, and has set up an Endangered Crafts Fund to provide the means to do so. 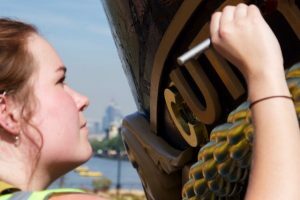 Whilst the UK has been a world-leader in the preservation of tangible heritage (museum collections, buildings and monuments), it has fallen behind the rest of the world when it comes to the safeguarding of intangible heritage (knowledge, skills and practices). 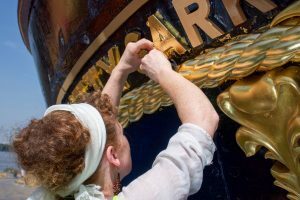 It is among only 15 of 193 UNESCO members that has not yet ratified the 2003 Convention on the Safeguarding of Intangible Heritage, and government responsibility for heritage crafts falls in the gap between agencies set up to support arts and heritage. 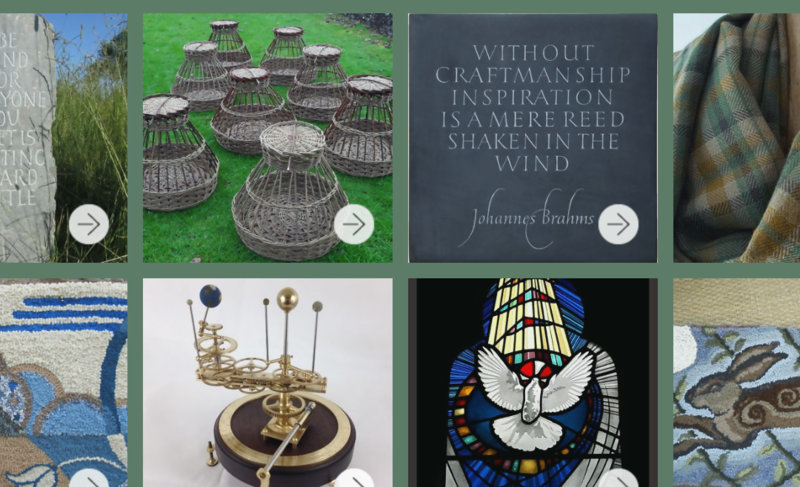 All 212 entries featured in the Red List of Endangered Crafts 2019 edition are available to view online at http://redlist.heritagecrafts.org.uk. 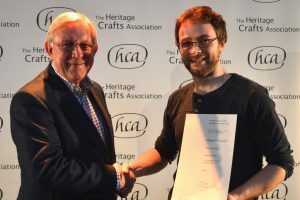 The 2019 edition of the HCA Red List of Endangered Crafts was led by Daniel Carpenter, on secondment from his doctoral research on craft heritage at the University of Exeter, and supported by the South, West and Wales Doctoral Training Partnership. 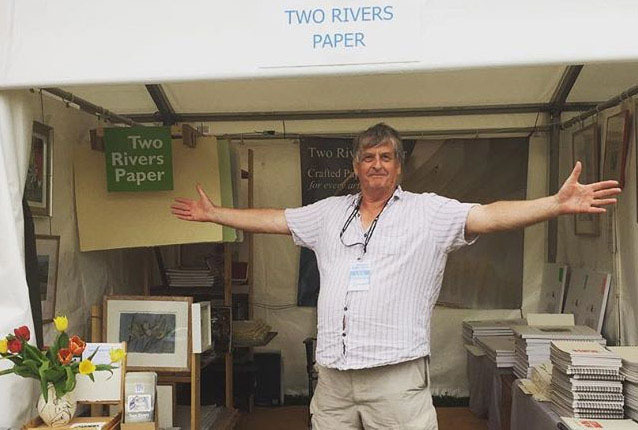 The project runs alongside the work of the Heritage Crafts Association’s Endangered Crafts Officer Mary Lewis, whose post, funded by The Dulverton Trust, has been created to identify and develop interventions to improve the prospects of such crafts. 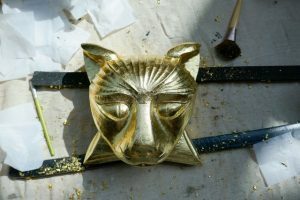 For the 2019 edition, 212 crafts have been assessed to identify those which are at greatest risk of disappearing. Of the 212 crafts featured in the research, four have been classified as extinct, 36 as critically endangered, 70 as endangered and 102 as currently viable. Drawing on information such as the current number of craftspeople and trainees, the average age of practitioners, opportunities to learn, and other issues affecting the future of the crafts considered, the research assesses how likely it is that the craft skills will be passed on to the next generation. From armour making and arrowsmithing to wig making and woodturning, each has been assigned to one of four categories: extinct, critically endangered, endangered or currently viable. 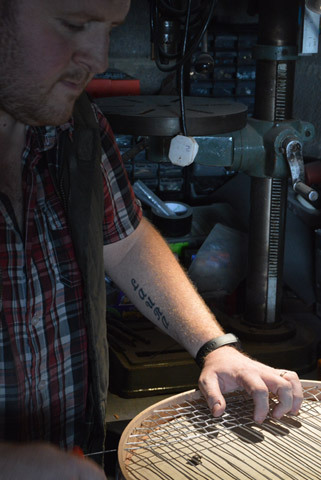 Four crafts are known to have become extinct in the UK in the last ten years (cricket ball making, gold beating, lacrosse stick making, and paper mould and deckle making) with one more (sieve and riddle making) brought back from extinction. 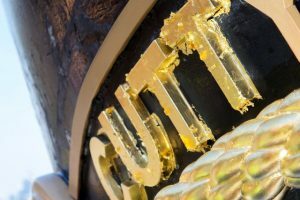 At the other end of the spectrum, viable crafts are defined as those for which there are sufficient craftspeople to pass on the craft skills to the next generation, though crafts in the currently viable category face real challenges and require continued monitoring. 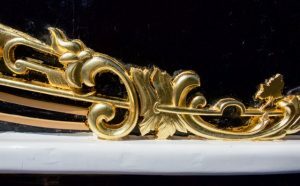 For the purposes of this research, a heritage craft is defined as “a practice which employs manual dexterity and skill and an understanding of traditional materials, design and techniques, and which has been practised for two or more successive generations.” The research focuses on craft practices which are taking place in the UK today, including crafts which have originated elsewhere. The 2017 Red List of Endangered Crafts, funded by The Radcliffe Trust and led by Greta Bertram, was the first to rank traditional crafts by the likelihood they would survive the next generation. 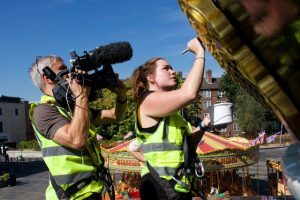 It brought the plight of these skills to national attention, with coverage across national newspapers and broadcast media including Countryfile, The One Show and Radio 4 Woman’s Hour. 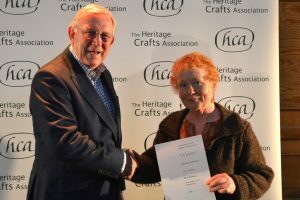 The Heritage Crafts Association’s Endangered Crafts Fund has been set up to ensure that the most at-risk heritage crafts within the UK are given the support they need to thrive. 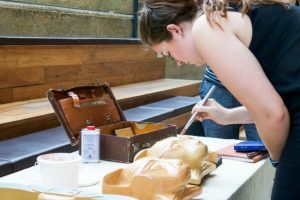 The Fund will be used to support makers and trainees who wish to develop or share their skills in the crafts that have been identified as being most at risk. Anyone wishing to donate to the fund may do so securely online via the web link below. 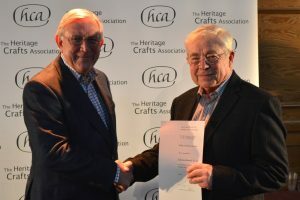 Alternatively, please send a cheque made payable to ‘Heritage Crafts Association’ with an accompanying note specifying ‘Endangered Crafts Fund’ to: Heritage Crafts Association, 27 South Road, Oundle, Peterborough PE8 4BU.